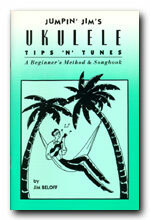 A Beginner’s Method & Songbook arranged for GCEA-tuned ukulele.A step-by-step introduction to the pleasures of playing the uke. Like a private lesson in print. Learn chords, strums and uke trivia. Includes 29 songs arranged especially for the student.